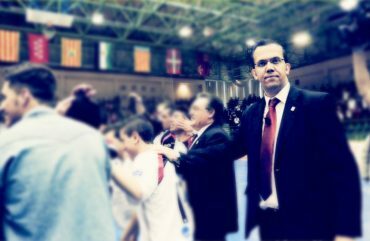 "I hope to continue to have the ability to combine experience and youth equally, for the game to implement on teams that lead remains fresh, bold and exciting "
David Madrid Sánchez, known as David Madrid in the world of futsal, was born in Madrid in 1979. 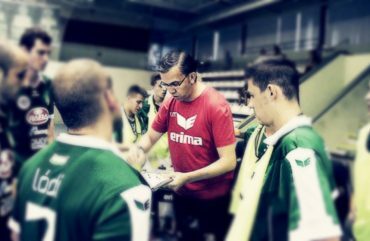 From the age of one, he lived in Morata de Tajuña, a municipality that saw him grow as a coach until he established himself as a leading coach both at the national level, with Caja Segovia F.S’s first team, and the international level, currently with the Györ Eto Futsal team, in Hungary. David Madrid started out as a football player, although he became a coach at the tender age of 16. He took on the responsibility of managing the municipal sports program in Morata de Tajuña. This was a decisive period for his future life, along side Alejandro Roldan Corpa. Alejandro was both a player and a coach in all of the youth categories, and for David Madrid he was: “a crucial person in my life, as he taught me the passion for training and ignited in me, by letting me train with him, a vocation, which ended up being my profession. 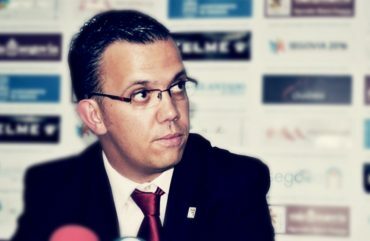 After this initial career path, David Madrid was put in charge of the youth team at the Sporting Morata Club, and then the same club’s leading team (together with Ángel Marcelo Sacristán), which competed in the regional category. It was after a season of coaching the youth team that he became the coach of Sporting Morata Club’s leading team, taking it all the way to the third division, a historic event for the club, playing against other teams in the League as important as the CD Arganda futbol sala, UD Residencias Palacios, Pastelería Timón, etc. After such a great experience, David Madrid left the village where he trained as a coach with the intention of taking on different challenges, training with prestigious clubs like the Unión Tres Cantos (Intermovistar reserve team), Grupo Galindo Villarobledo F.S., Rivas Atlantis F.S., etc., and being in charge of the Spanish men’s team in Madrid. He became a professional after an excellent season with Caja Segovia Rivas Atlantis’s reserve team, making the leap to Caja Segovia F.S.’s leading team, as the assistant coach, with the help of who he considers both an international and national role-model, a teacher and a shining example at every level, Jesús Velasco. 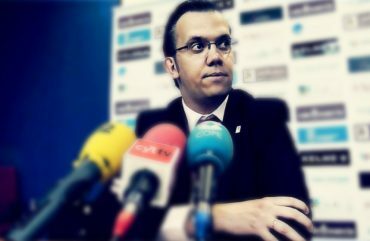 After several seasons as an assistant coach of the Spanish futsal elite and remarkable sporting results, which reflect his outstanding efforts, he was given the chance to become the head coach of Club Caja Segovia’s leading team. David Madrid managed to combine expert experience with youth and the audacity of young talent to bring on a year of victories, and more importantly, a year of amazing spectacles. Thus, in his first season as head coach, David Madrid set a historic club record for the amount of wins in one season. 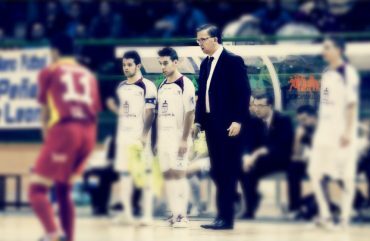 When the coach talks about such a wonderful season, he never forgets his great team nor the invaluable contribution of one of the most in-the-know figures when it comes to Spanish futsal, José Luis Montero or “Pepelu”, who David Madrid sees as a father figure. The coach from Morata is considered a hard-working person, very methodical, tenacious and persistent. 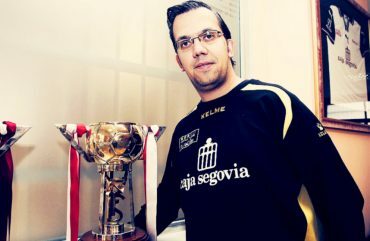 With the ambitious goal of turning himself into an important futsal coach and having as role-models the architects of the golden years at Caja de Segovia and Interviú, José Venancio López and Jesús Candelas, this coach from Morata is now writing his own story. A success story based on sporting excellence, constant training and player motivation. David Madrid is a coach that understands his profession as the leadership of not only a sporting project, but also a human project. 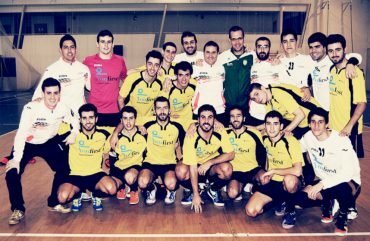 Unfortunately, the economic crisis, to which futsal is not immune, has had a grave impact on the Caja Segovia club, leading to David Madrid’s departure. 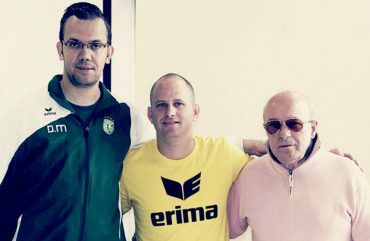 The coach, after having considered several offers, decided to take up Dr. Drucskó Zoltán’s offer to join the Györ Eto Futsal in Hungary, turning this club into the stage of his first international experience. With the future always in mind and showing off his capacity for work and motivation, the Spanish coach hopes to continue making a name for himself in the coming years. It all starts with effort, commitment, dedication and seriousness at work, session after session. Every day counts and even the smallest detail is reflected in a methodology and contrasted own work. With hard work, a team should acquire its own distinctive PERSONALITY. To do so, it is essential to provide the players with technical and tactical tools that enable them to fully develop their sporting TALENT. Over the years, I have learnt that a coach has to become a leader, not only for the players, but also for the whole team, including the coaching staff. Our various goals should be in line with the overarching goal to achieve SPORTING EXCELLENCE. I think that GROUP COHESION training is essential. Therefore, the coach’s job goes beyond the training sessions. Often, the difference between winning and losing a football match lies in the sacrifice that each player is willing to offer for each and every single team member. In order to reach maximum performance, I pay close attention to managing players in the broadest sense, from motivation to individual and collective emotional control. TRUST is the basis of learning. 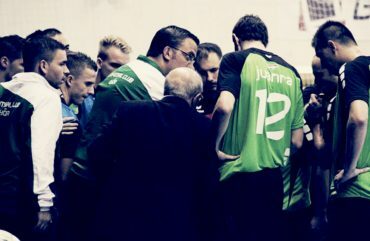 It is necessary to establish an optimal connection with the players so that they trust my approaches and, going out of their comfort zones, move closer to excellence. My methodology and game mechanics are continuously evolving, with the aim to offer my players updated solutions to any tactical approach. Everyday, I try to be a role-model for the team that I lead. Humility, generosity and recognition of merits are essential values for me. I also never forget to respect the opposing team, although always from a victorious stance. The more successful a coach is to conquer the soul of his players. They’ll get the rest. Nominated for best coach in the world.